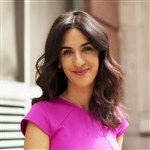 The following is a guest post from Natalie Zfat, a writer, entrepreneur and social media influencer. Dell frequently works with Natalie and her company The Social Co. Here she shares information on protecting your security as a user of social media. Natalie works on an XPS 13; Dell helps her and our customers to protect their valuable data through our comprehensive suite of security and manageability solutions. How can a company’s data be managed more efficiently? What innovations are helping to build our nation’s smartest cities? How does one create – and ultimately prove – value from IoT? These are a handful of the questions that were asked – and answered – at Internet of Things World in San Francisco last month. As the largest IoT event on earth, IoT World recruits 4,000 attendees, 250 thought-leaders and 150 exhibitors annually to discuss the goals, challenges and technologies that are shaping the world of IoT as we know it. As a social media influencer and founder of digital agency The Social Co., one topic we speak about often with our clients is Personalization and Privacy. When IoT World asked if I wanted to discuss it as part of their panel, my mind began to race with stories of the companies we’re worked with who have truly pioneered it. As a social media-rooted agency that caters to global retail brands, every year it seems that more and more of our clients have a great need to personalize and capture data – and, with our guidance – an urge to be transparent with their consumers about what they’re doing with it. It might seem shocking or scary to be so up front about your terms, but in our experience, that type of transparency helps eliminate potential disappointment/privacy concerns down the road. 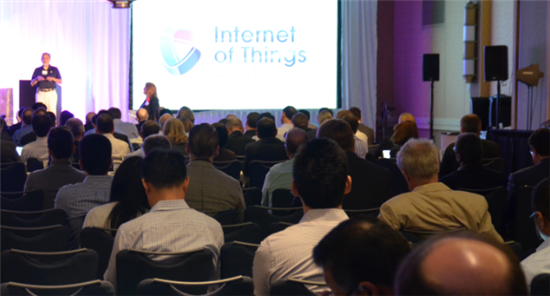 The audience at IoT asked what we would recommend is fair – to both companies and consumers. I’ll reiterate here, what I said there: If you’re a company, use your best judgment. Be as transparent as possible about what you’re using data for. It might be scary but save you a headache in the long haul. Don’t subject your users to anything you wouldn’t want their families or friends subjected to. Fair, right? The president of the United States just got hacked. Concerns about privacy are normal – and in my opinion, they’re absolutely good, because those concerns are what lead to innovation and security. If we can safeguard our information against any threat, while enjoying the benefits of personalized content, we too can pioneer the delicate intersection between Personalization and Privacy. Putting the “social" in social media, Natalie and her company The Social Co. have partnered with some of the largest brands in the world, including Rolling Stone, Food Network, Refinery29, American Express, Travel and Leisure, Levi’s and Dell. Hosting videos and events, curating original content and implementing full-scale social media takeovers, Natalie gains millions of impressions for the brands she advocates for. This year, Google named Natalie one of 60 Fun and Interesting People to Follow on Google Plus. And, you can follow her on Twitter at: @nataliezfat.